One of my favorite pickups is the WRHB. The reissues are OK pickups but they are just run of the mill humbuckers. They can be so much more. Our modifications transform your re-issue into a vintage sounding WRHB. Services similar to this have become very popular in the last several years but ours remain unique for several reasons. Here’s our process. You send me your pickup. I dismantle it. I wind my custom, vintage correct bobbins (which I build in-house), to vintage specs. 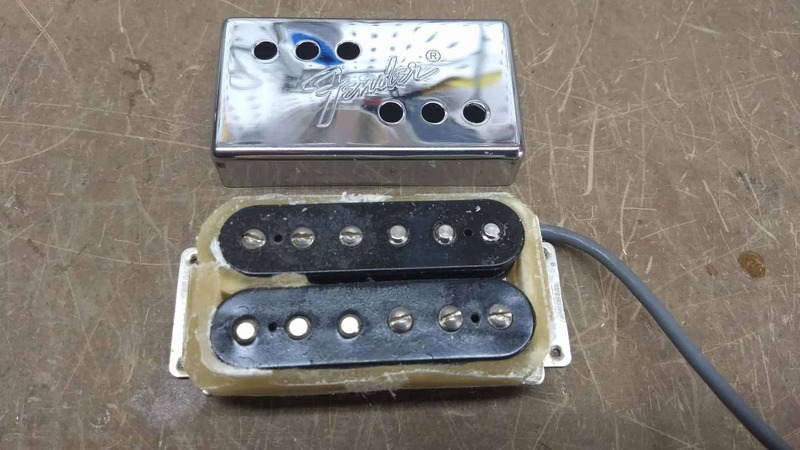 Most importantly this involves winding the coils using the same turns per layer as the original pickups. 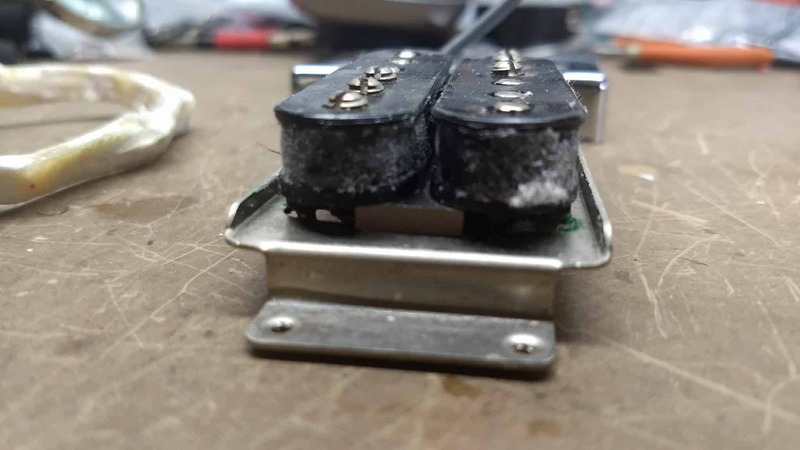 I use a combination of threaded FeCrCo magnets and custom cut Alnico V magnets which are degaussed to levels matching what you’d see in original Cunife magnets. I insert a vintage correct ‘reflector plate’ (also built in-house) between the bobbin and the baseplate. The result is a beautiful, harmonically rich, pickup that is very true to the ’71 vintage WRHB but at a fraction of the cost. Read the reviews. They speak for themselves! Jesse is truly a Craftsman/Artist! I’ve had my Squier ’72 Thinline re-issue for 5 or 6 years now, bought it online, and though it’s a beautiful guitar, it just didn’t sound the way I thought it would. When i bought it I wasn’t aware of the huge difference between the original Seth Lover design and the not so great re-issue pups. I thought it was maybe the electronics, so I upgraded to CTS pots, a CRL three- way switch, and a PIO tone cap. An improvement, but not the Kieth R. , Tab B. kind of sound I was looking for. I was looking in to some other re-build possibilities when I found Revel on eBay and read a few reviews and thought it might be the best way to go. I’m glad I did! My guitar now sounds amazing! It sounds pretty close to the originals, and I’m very pleased with the whole experience. Great communication, fast turn time, and great tone! Amazing service provided by this man! 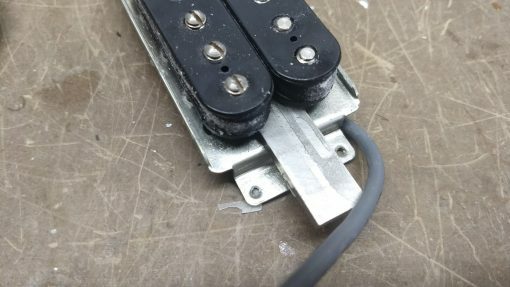 Had my Tele Custom reissue for over 10 years before reading an article about the difference in sound between the original ‘72 WRHB pickups and the muddy reissues. Turn around was super quick and now it’s like I have a whole new guitar. He was EXTREMELY helpful and patient with me when I had some wiring issues getting it reinstalled and I cannot recommend his services highly enough. Thanks a ton Jesse!!!! I sent the WRHBs from my ’72 Telecaster Deluxe reissue to Jesse @ Revel to be rewound. Fender’s new WRHBs are just normal humbuckers in WR covers and sound lifeless and dull. I was craving something more like the originals. Once I recieved the rewound HBs from Revel, I immediately took them to my luthier for a new wiring harness and installation. When he said they were some of the best he’s heard, I was stoked… and I have to agree. They sound beautiful…bright, clear, and articulate no matter where I am on the fret board. 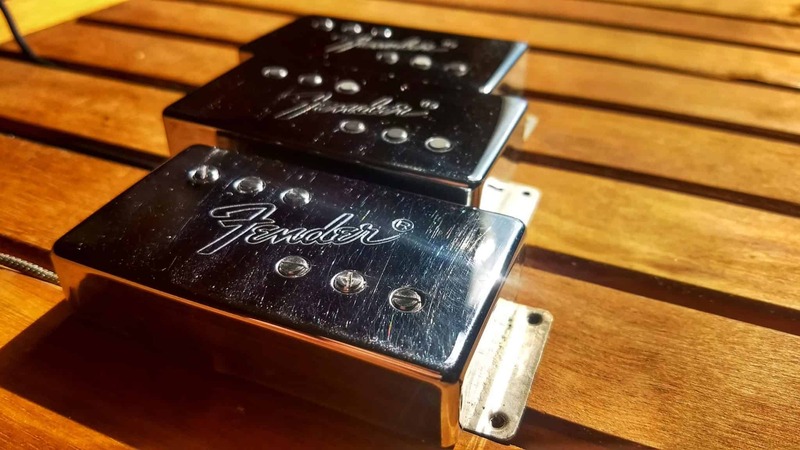 These WRHBs are a must have for any Thinline, Deluxe or Custom. Get them now before Jesse realizes what he has and prices skyrocket. I’m a big fan of the original 70’s Fender vintage WRHB and as we all know the reissues are nothing like them internally, even after upgrading to 500k or 1meg pots. Over the last few years I’ve been trying the different vintage style WRHB offerings by various boutique pickup builders and manufacturers including, Lollar, Mojotone, Brandonwound and Catswhisker. 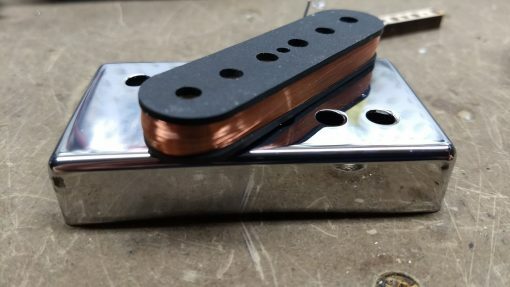 I thought I was done searching but I stumbled upon Jesse’s Revel mod service on eBay late last year and figured I’d try his version too for a ’72 Tele Custom build I was working on (went with full vintage rating 10.7k output for the neck pickup). When I finally got the guitar built and pickup installed (used 500k pots) I was blown away! This was literally everything I was looking for in a WRHB–punchy but not excessive, clarity and smooth highs without the shrillness and balance across all strings. Jesse clearly did his homework here and it shows. Regardless of price, although you’re probably not going to find a cheaper vintage style WRHB, it holds its own and performs just as well if not better than the majority of the other offerings out there. I went ahead and ordered a few more for some upcoming projects including a matched set with the underwound 9.5k neck and regular 10.7k bridge for a ’72 Tele Thinline with an ash body and as expected these pickups took that guitar to the next level. 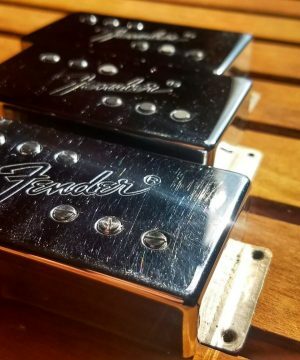 During the process of sending the reissue pickups to Jesse, he was a total professional and gave me status updates and was able to answer my various questions throughout. If you’re thinking about doing this, just go ahead and do it. You won’t be disappointed! 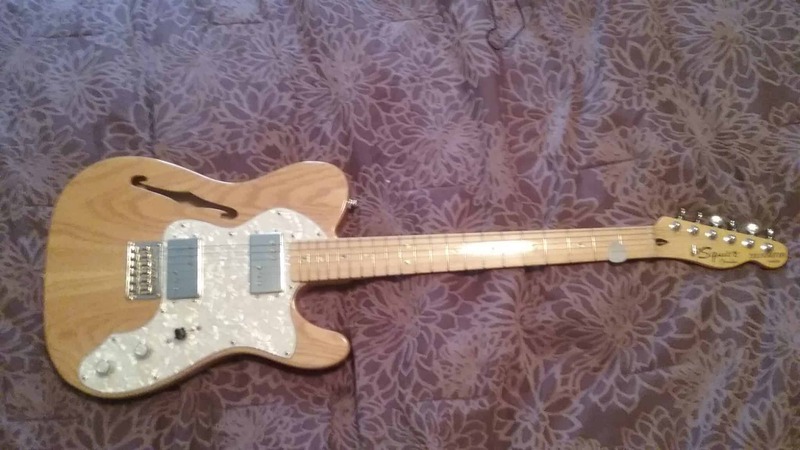 I bought a ’72 Reissue Tele Thinline with WRHBs and was not impressed at all with the pickups. They sounded dark and compressed, and just got worse when I added any drive or distortion. I sent them to Jesse at Revel and he overhauled them to vintage spec using my original covers. Wow what a difference!! The Revel-modded buckers are now much brighter and open, but still have a rich, warm midrange. When driven, they’ve got awesome sustain that absolutely blows away the original pickups! I highly recommend this mod if you have reissue WRHBs.